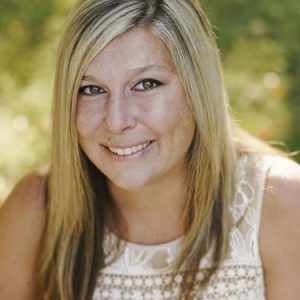 Amanda Mize, like the rest of her coworkers, is a hardworking and dedicated agent, with a talent for thinking outside the box. This last quality is especially important for any employee of First Choice, as the organization prizes staff members who can come up with creative solutions for client problems. First Choice lending offers FHA loans, home construction loans, reverse mortgages, and more. Where they differ is in their dedication to personalizing loan products to best fit each customer’s needs. Amanda Mize has a creative mind that can come up with solutions to overcome her client’s obstacles. One of her central strengths is her ability to connect with customers, understanding exactly what they need and how best to help them with their loan or mortgage. Amanda handled and closed our VA loan in less than 3 weeks, with practically no work on our end!! It was as painless as could possibly be – she handled everything quickly, efficiently and professionally. Highly recommended!!! – Jennifer L.
I can’t say enough about Amanda! Always available with a wealth of experience and willing to go the extra mile to make sure things are done on time. You won’t find a more helpful, and extremely knowledgeable lender than Amanda. She quickly ran numbers on every house we were interested in. Any question we had, she answered right away. When it came time to buy and we needed to close sooner than normal, she pulled it off so smoothly! I could go on and on, we were so happy working with her! Thank you! – Debbie K.
We got to work with Amanda while purchasing our home which I found can be very stressful at times but thnx to Amanda..Brennon & the others on the team..by keeping us totally in the loop at every stage of the process & being at the ready at all times to answer our questions.. Thank you so much. -Tracy & Jim G.